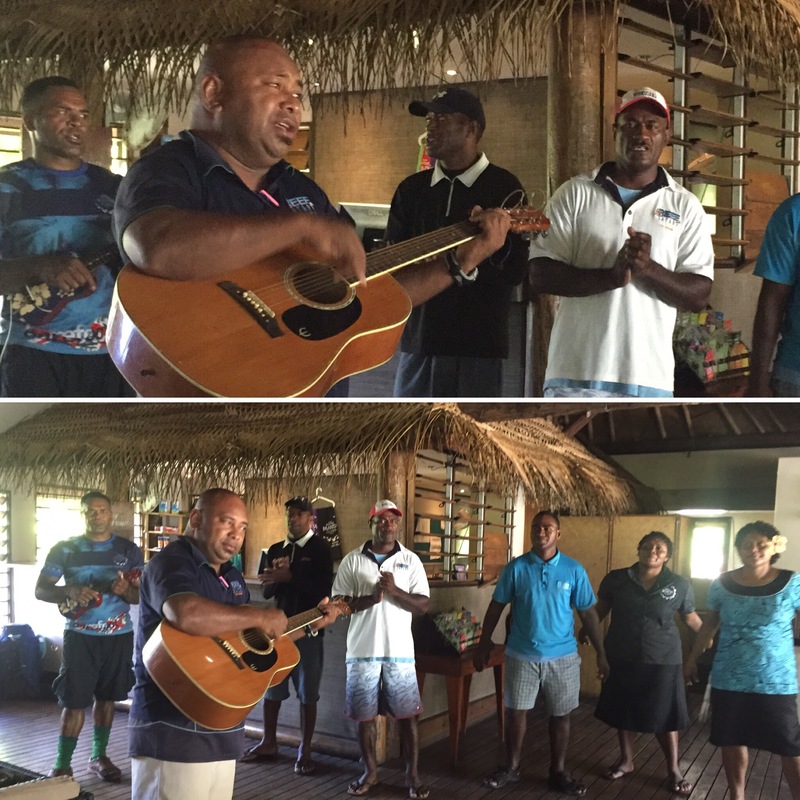 Our last day at Barefoot Manta was another early start from the sound of ‘MANTA RAY’ being shouted through the resort. It was 7am and we had already decided we would go out again to try and get an even better look at these rare and amazing creatures (especially when it’s only around £20!) We were again the first resort out into the channel and we got to see the big female black manta ray getting cleaned by other fish. It was stationary, slowly flapping its wings to not move with the current and had fish going in and out of its mouth to clean its gills. It wasn’t long until other resorts joined us and it got very crowded! 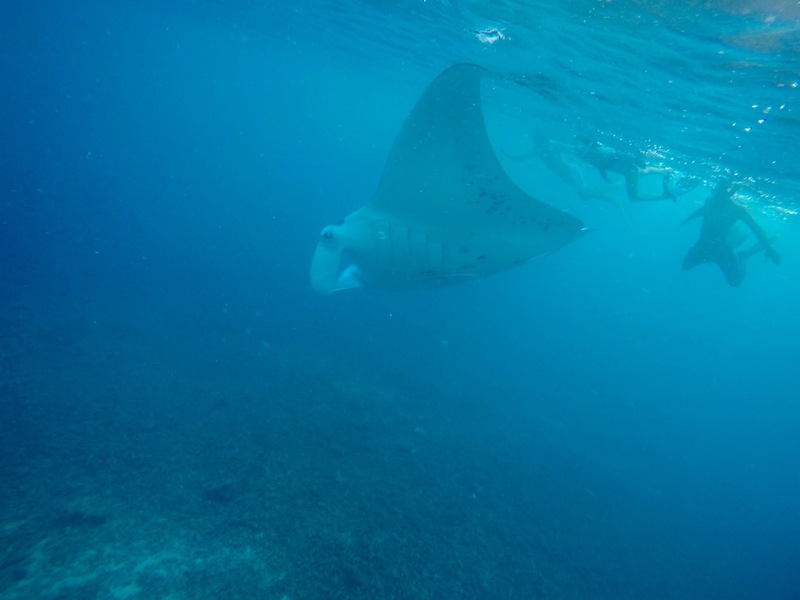 The manta ray moved around loads today so it was a bit workout to keep up with it – lot of swimming against the current. We would sometimes wait for it to circle back and managed to get really close to it which was just breathtaking! 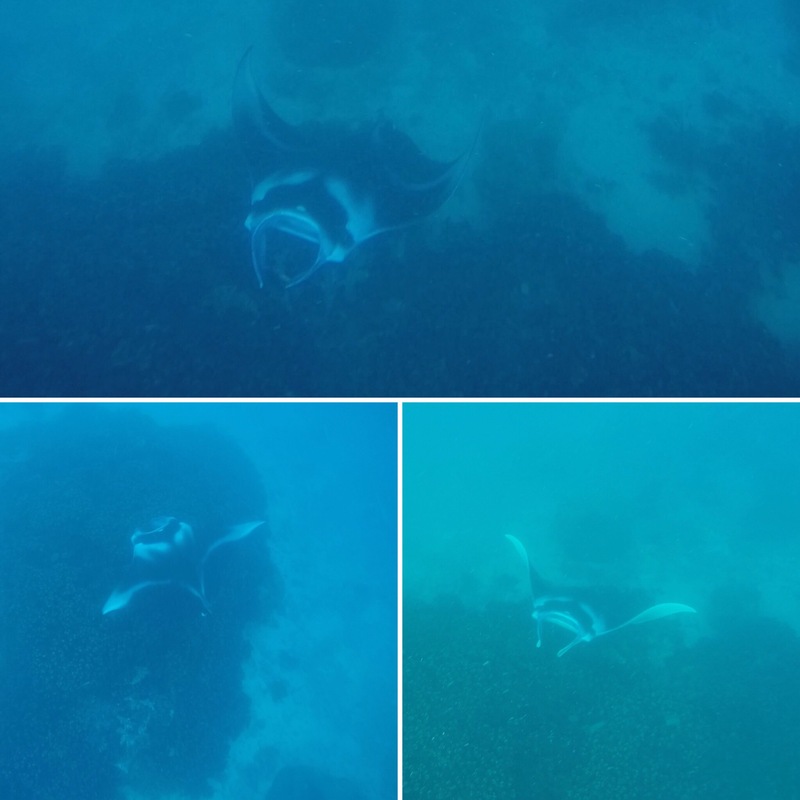 We were out there for around an hour and it was surprising how little the manta ray was phased by the number of people following it – I guess it may have been completely oblivious! 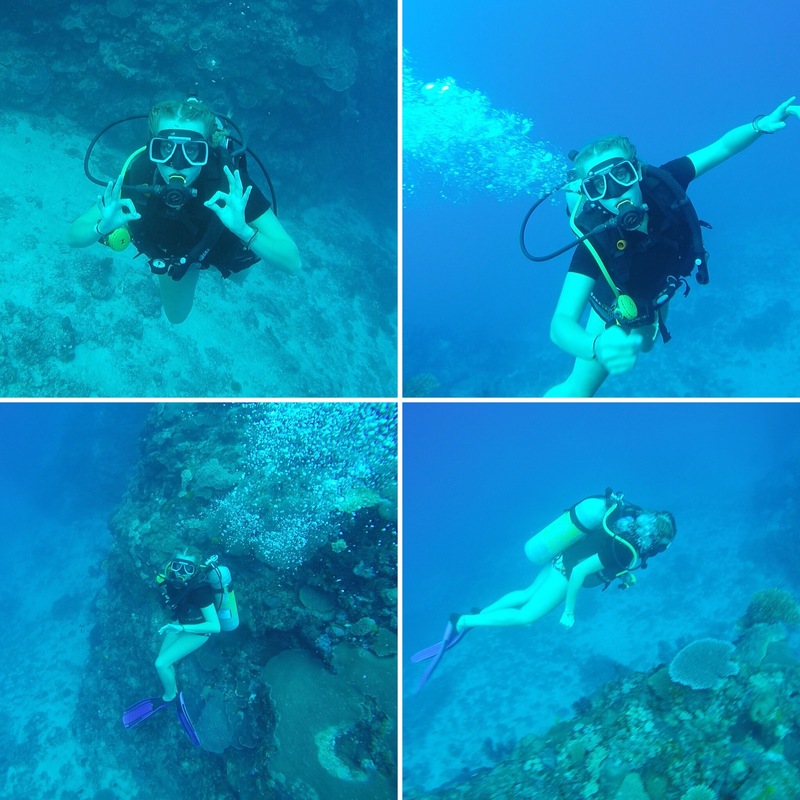 After breakfast we headed out for a scuba dive now that we have our open water qualifications – our first time properly using them! We were out with four other people from another resort going to a coral reef called Picasso’s Playground. The boat took around 5/10 minutes to get to the reef and then we all got on our gear and tipped ourselves backwards off the boat. As we descended I had a big issue equalising the pressure in my ears so it took me a very long time to descend without being in agony. I then had a similar issue for the rest of the dive that the pressure wouldn’t regulate in my ears when I changed depths which did make some of the dive quite painful. Putting that aside it was a good dive and we’re glad we did it. 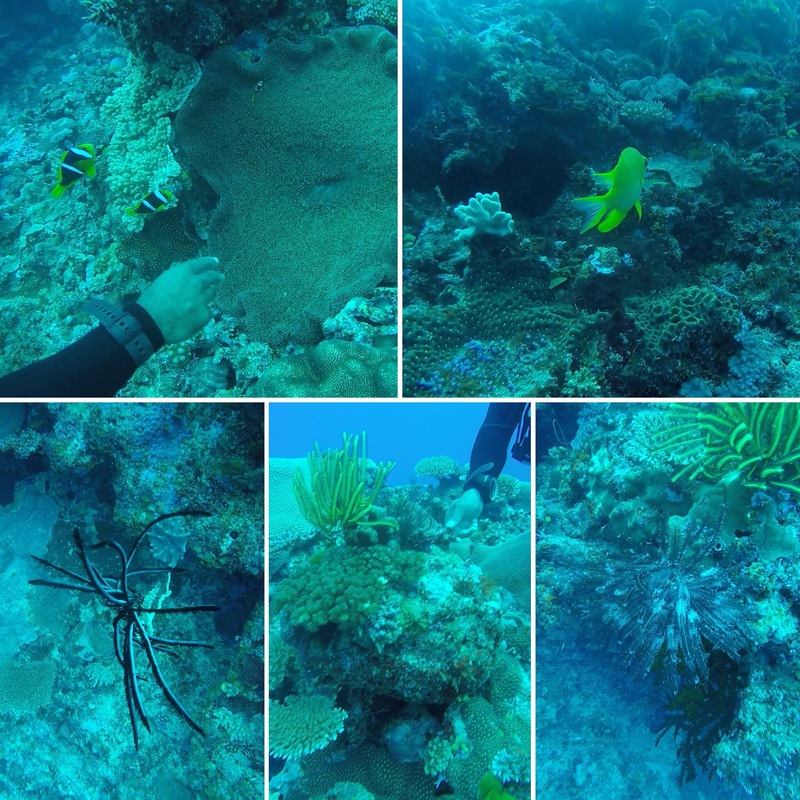 The coral was spectacular, so many colours and different textures. There were so many fish swimming in and out of the reef and our guides, Lai and Fai were really good at showing us the cool things to see. 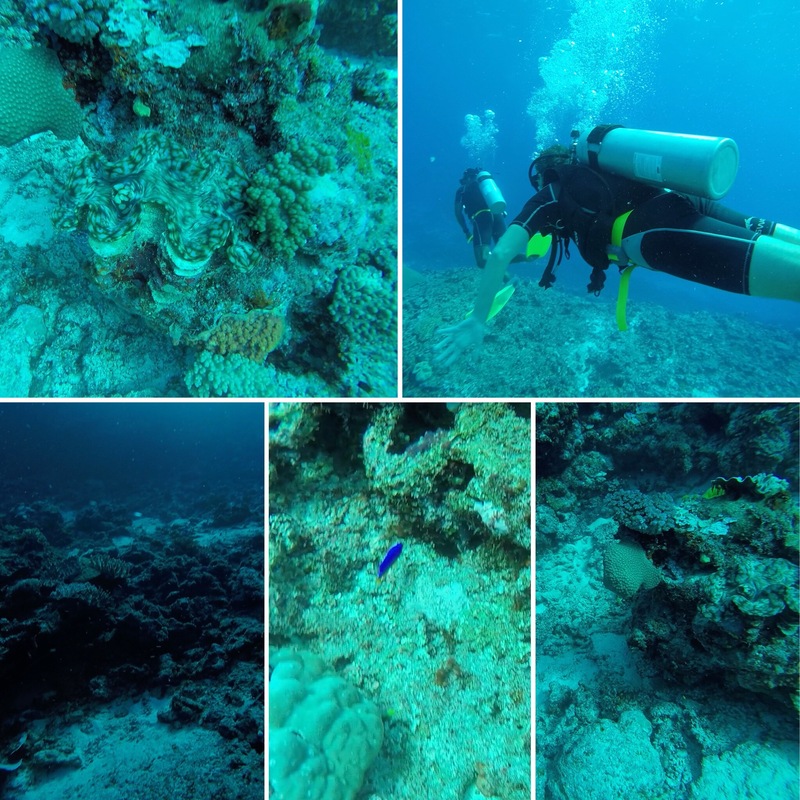 The dive started with a big coral wall that we swam along before going up a bit shallower to be above the reef instead of to the side to see all of the crevices layers. 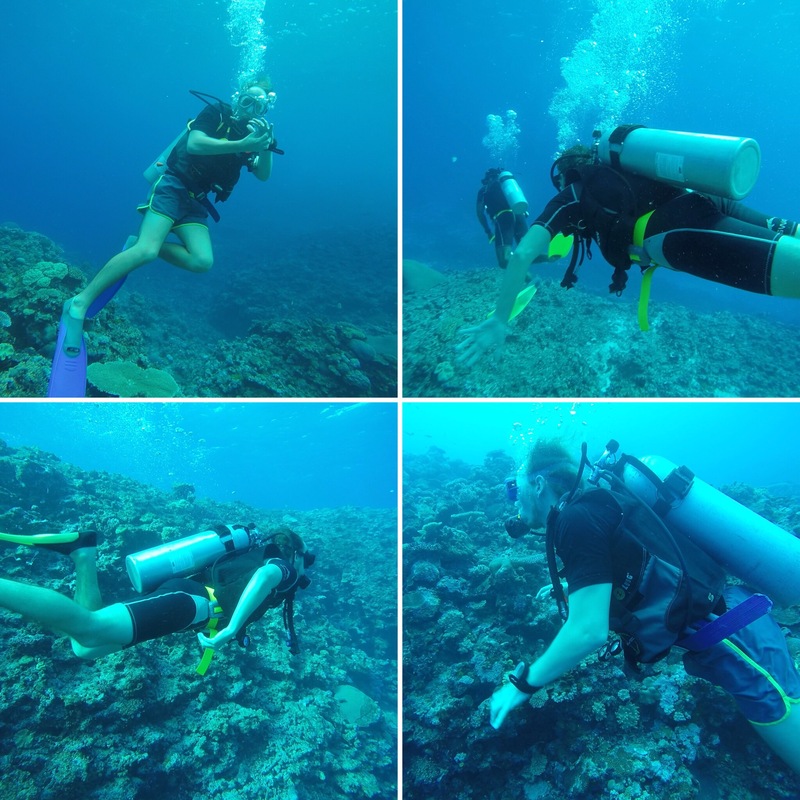 Once our air got to around 70 bars (we started with 200 bars) it was time to head back up the surface to end the dive. 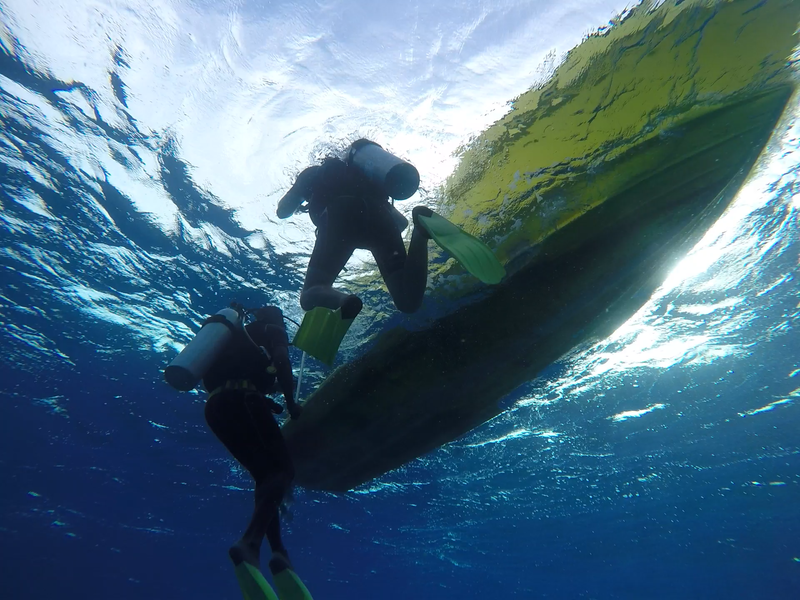 We had been down there for around 35 minutes which actually covers a lot of distance when you’re down on a reef. 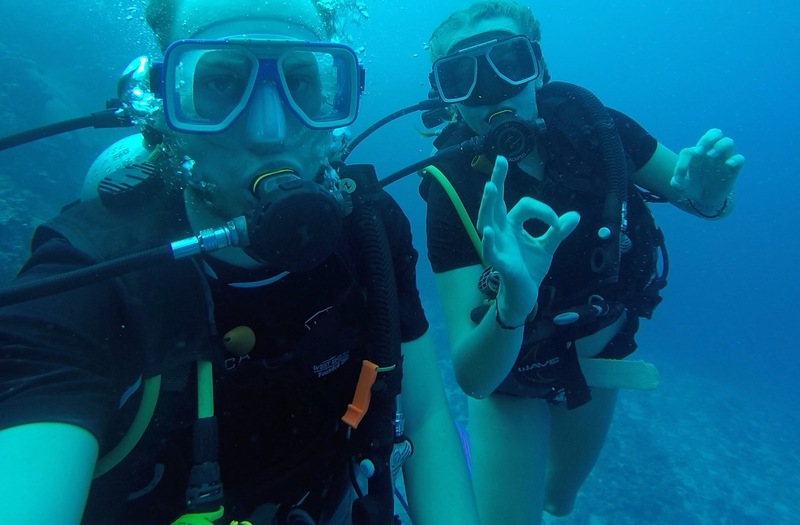 We have been told that a high percentage of people never end up using their open water qualification after they complete the course so we’re really glad we’ve been able to use ours and will definitely be doing diving again as we travel to more places. 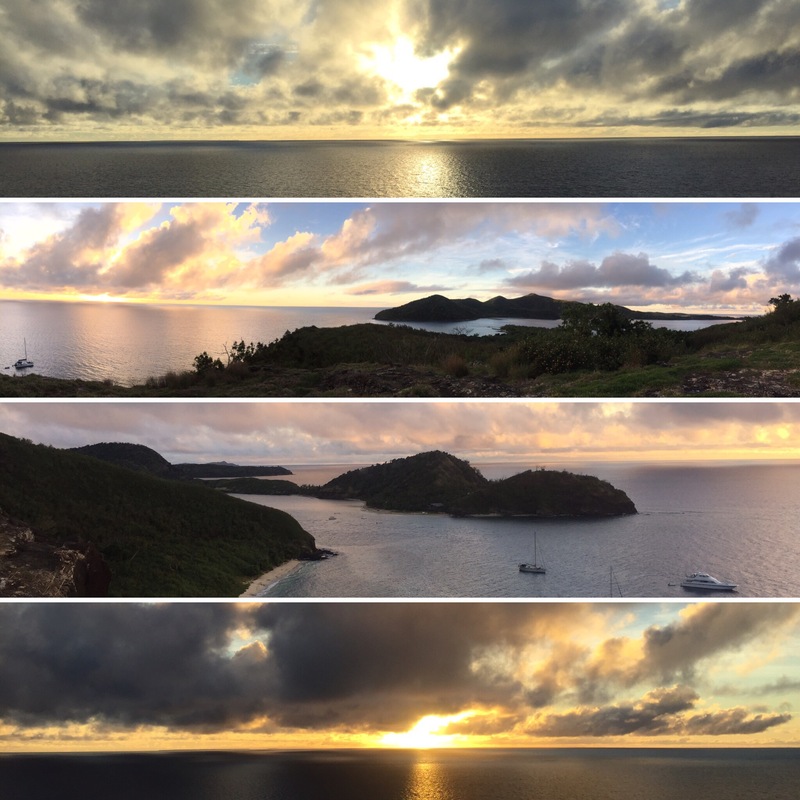 After a rest on the beach for most of the afternoon – the mornings marine antics had taken it out of us – we decided to do a short hike on the island in time for the sunset. 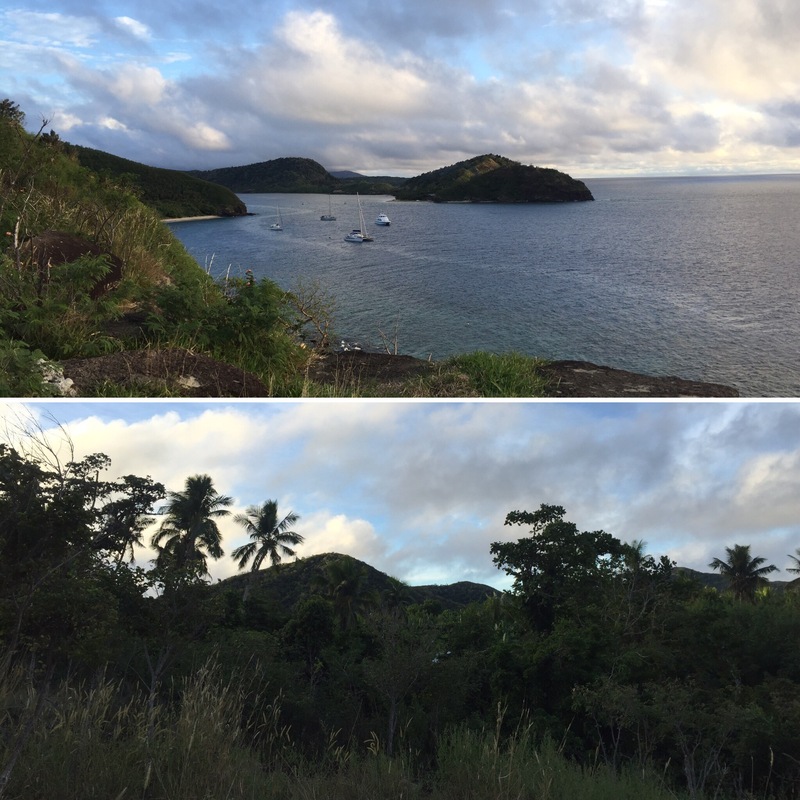 The weather in the evenings hadn’t been as sunny or clear as during the days so far but the evening was one of the clearest since getting to Barefoot Manta resort. The past couple of nights had brought wind which had blown in cloud but that doesn’t always lead to great sunsets so we were feeling hopeful about our last night on the island since the sky had cleared. The walk took you to the edge of the resort and then through some bushes to a clearing that was on the edge of a cliff. This place gave you great views of the sea and neighbouring islands which was really pretty, particularly in the early evening light. We sat here for a while before heading to the second lookout on the hike that was another 5 or 10 minutes away. This took you further around the island and gave you a really nice view of the manta ray channel and the islands and showed us the start of the sunset on the other side of the mountain. The island is home to the resort and lots of goats. We didn’t see any goats on our walk but we did hear them in the area so we still know that a lot live there. It would have been cool to see some of the goats but it isn’t like we haven’t seen a goat before so it’s not the end of the world. We then headed back the way we came – it’s just the one route – to watch the remainder of the sunset from the first lookout point. The sunset turned out to be really nice with a row of clouds in the distance and the sun turning all colours from oranges, yellows and reds to bright blue and even a slight shade of green – just like a rainbow! 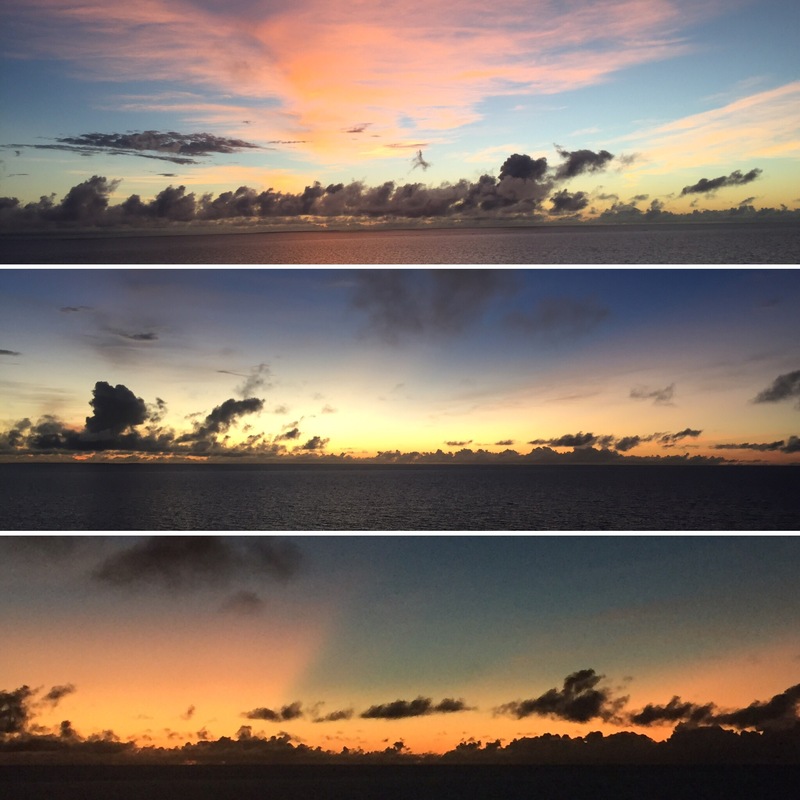 It was so lovely sitting watching the sun set over the islands in Fiji, just me and Niall – a lovely way to end our time on the island. The tea that night was really nice and we were serenaded, the same as every night, by two of the workers at the resort. All the staff are so friendly here – we had one waitress who was our favourite because she found the simplest of things, like counting up our orders, funny and her face was so emotive and friendly. We ended the day standing on the beach looking out to sea and a very bright, full moon – this was particular incredible as it lit up the whole beach with moonlight. Barefoot Manta Resort was such a lovely place to spend three nights of our Fiji island hopping adventure. The staff were so lovely, we were given great food and were looked after in any way they could – I would definitely recommend this resort to anyone!